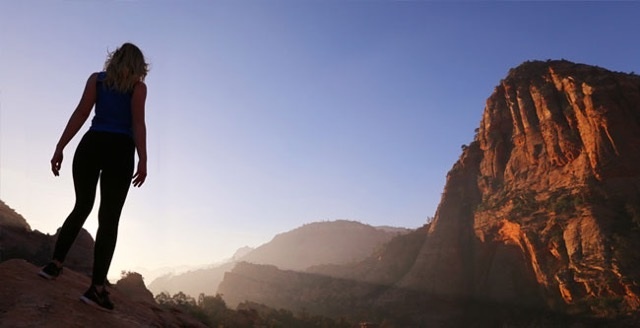 SOUTHERN UTAH – Sitting on 4,000 acres of land designed and created for the adventure seeker in you, Zion Ponderosa Ranch Resort is excited to announce their retreat offering a high-adventure outdoor experience for women only that is sure to invigorate the body, mind and soul. 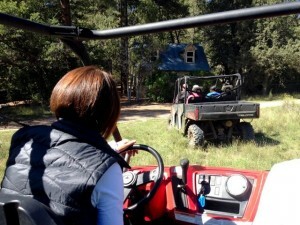 Zion Ponderosa Ranch Resort’s annual Women’s Adventure Retreat will take place May 3-9. This week-long outdoor experience will include “helicopter and Jeep tours, horseback riding, canyoneering, hiking and much, much more,” according to a press release from the resort. 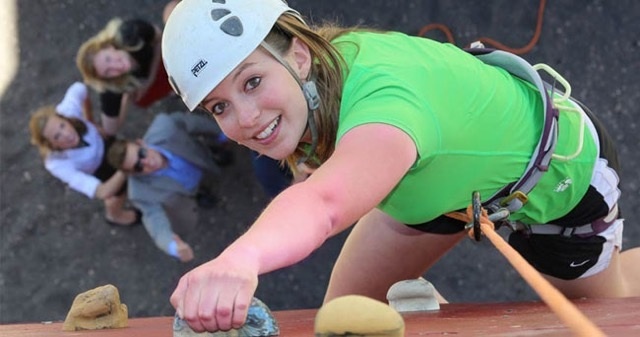 In addition to guided activities guests will have access to property facilities including the mini golf course, basketball courts, climbing walls and the rifle range. Lodging for the retreat will be in one of the resort’s high-end cabins where guests can choose from a lodge suite or deluxe lodge suite. The cabins are located in a gated community approximately 600 yards from the main lodge and feature private bedrooms with shared common spaces perfect for making new friends and sharing in the memories of your adventures. Meals will feature specially created healthy fare with fresh, local ingredients (when available). The resort also offers a wine list and craft beer menu. Don’t forget to book your massage at the on-site spa to ease your adventure-tired muscles. The full package is valued at $3,000, Director of Marketing Mark Wade said, but if you book now you can enjoy a discount of 44 percent making it the perfect vacation getaway for you and your girlfriends. See the complete list of offerings for the Women’s Adventure Retreat or reserve your spot here. Not a woman but still want to experience the fun and excitement of Zion Ponderosa? The resort is closed in winter and almost completely booked in summer months, Wade said, but there are still plenty of opportunities in the spring and fall for you to enjoy the resort with your friends or your family. Zion Ponderosa is currently offering seasonal discounts on their cabin suites and cowboy cabins when you purchase a recreation package which includes 10 activity vouchers. To view more specials click here. Zion Ponderosa Ranch Resort offers a full-scale adventure experience from All Terrain Vehicle and Jeep tours, climbing walls and zip lining to guided canyoneering trips, easy day hikes and swimming in the two-tiered gravity edge pool with slides. Other amenities include spa services and, coming soon, single-track mountain biking trails as well as bike rentals right on property. Because of its proximity to Zion – the resort butts up against the park’s boundary – guests can easily access popular vantage points, Cable Mountain and Observation Point by hiking 3 miles across the top of the mesa rather than making the steep trek from below. Guest accommodations at the resort range from basic tent and recreational vehicle camping to large and luxurious cabins complete with jacuzzi tubs, Wade said. Read testimonials from former Women’s Adventure Retreat and resort guests here.